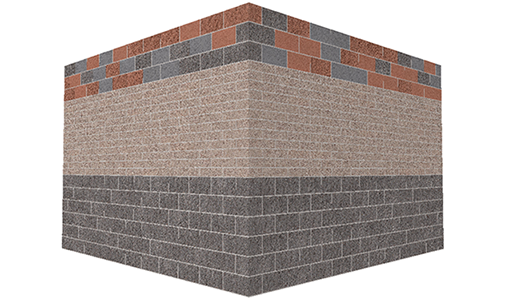 Masonry iQ includes a module that enables the design of the wall elevation, choosing from manufacturers' palettes of colors, textures, and sizes, including Angelus CMU. 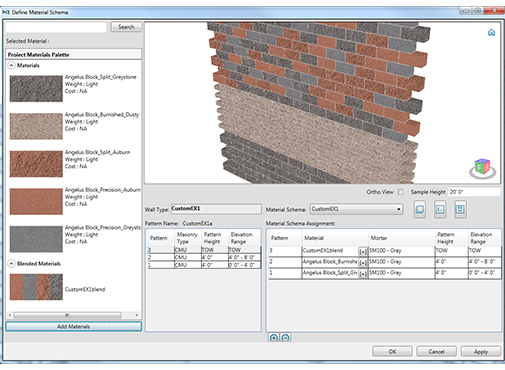 Products can be placed course-by-course or in fields to create banding, regions, and mixed color/texture fields. 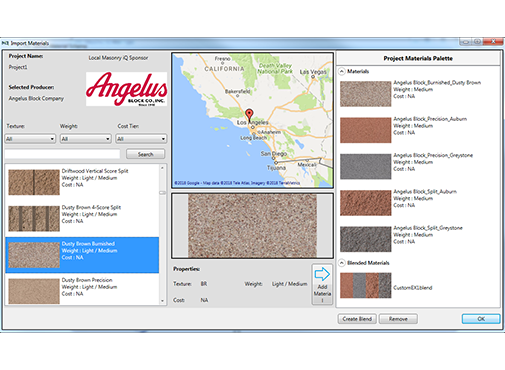 Angelus colors & textures included! * Revit 2018.2 and above.